Sunday, December 18th, 2016 at 11:16 am. GCell, a world leader in the manufacturer ofÂ Solar iBeaconÂ hardware, has been working with Professor Marcel Meli and Zurich University of Applied Sciences Institute of Embedded Systems (ZHAW) to develop a small long range wireless LoRa IoT sensor node powered only with energy harvesting. LoRa is a wireless protocol used to promote the interoperability and standardisation of Low Power Wide Area Network (LPWAN) technologies to drive implementation of the Internet of Things (IoT). A basic system consists of a number of LoRa nodes equipped with sensors. The LoRa sensor nodes are designed to efficiently transfer a small amount of data over long distances. The nodes are typically battery or mains powered (SeeÂ link). The data from the nodes are collated by a LoRa gateway that is mains powered. 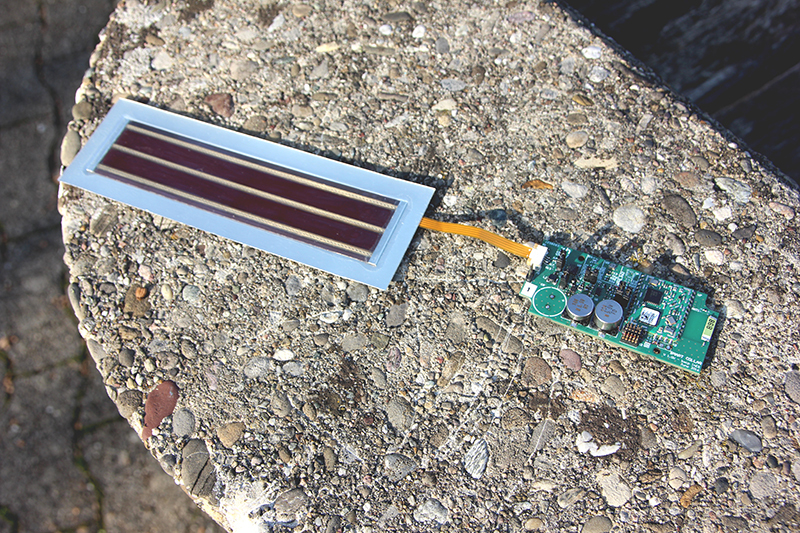 ZHAW developed a node to negate the requirement for batteries by utilising a GCell solar cell that harvests energy from any visible light source inside or out. GCell already manufacturers and sellsÂ Bluetooth BeaconsÂ using its solar technology in Wireless Personal Area Networks (WPAN) and sees the introduction of the LoRa sensor node as an important milestone in the adoption of wireless IoT sensor devices for smart cities. LPWAN is already being introduced by mobile operators Orange in France and Swisscom in Switzerland. Typically, the nodes are sending data roughly 150 times per day. The GCell powered LoRa sensor node transmits hundreds of packets of data daily from outdoor light sources. The node can even transmit every 15 minutes when illumination is as low as 500 lux, lighting levels commonly found in an office or workplace environment. The first deployment of the GCell powered LoRa sensor nodes are planned for trial in early 2017.